Hello everybody! 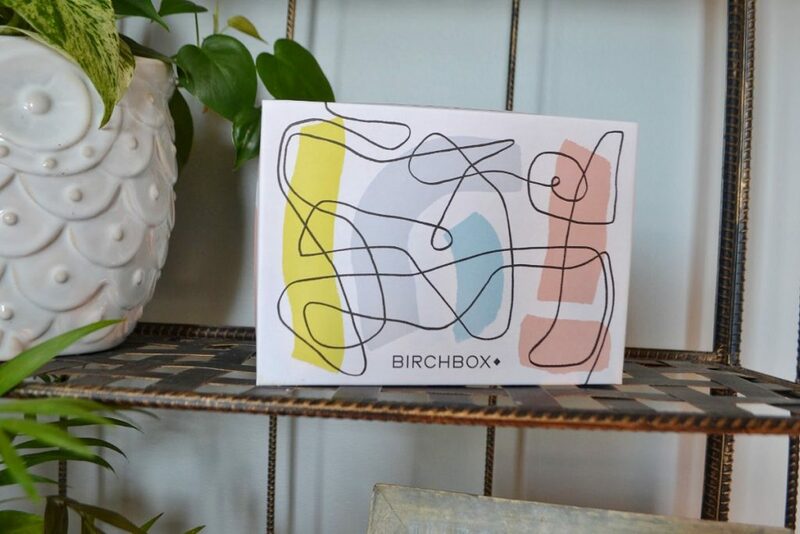 Today I am back with another Birchbox review. I am an avid makeup collector, and beauty subscription boxes are my absolute favorite to test. 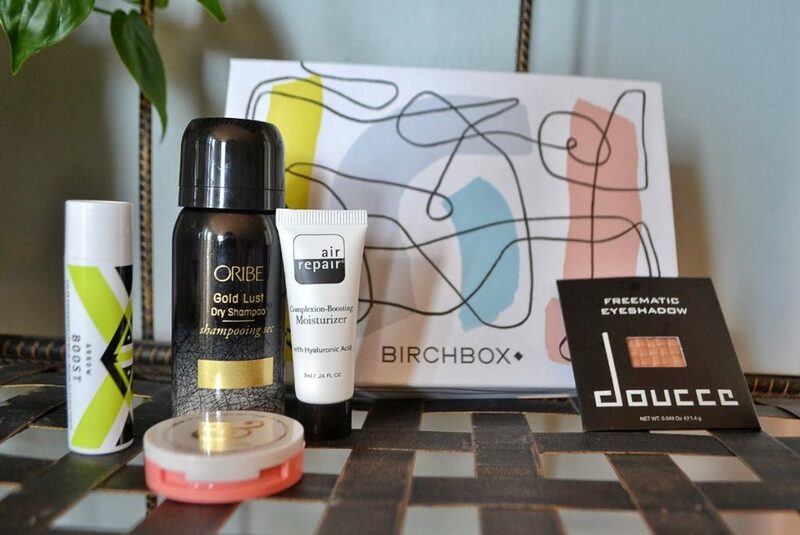 Birchbox sends out five beauty samples each month and is a way to easily try products before committing to a full-sized purchase. 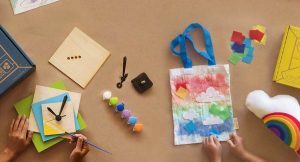 Birchbox is currently running a Valentine’s Day sale. 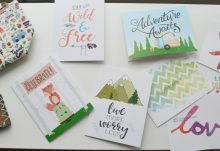 Use the code “Love15” at checkout for 15% off a gifted subscription. 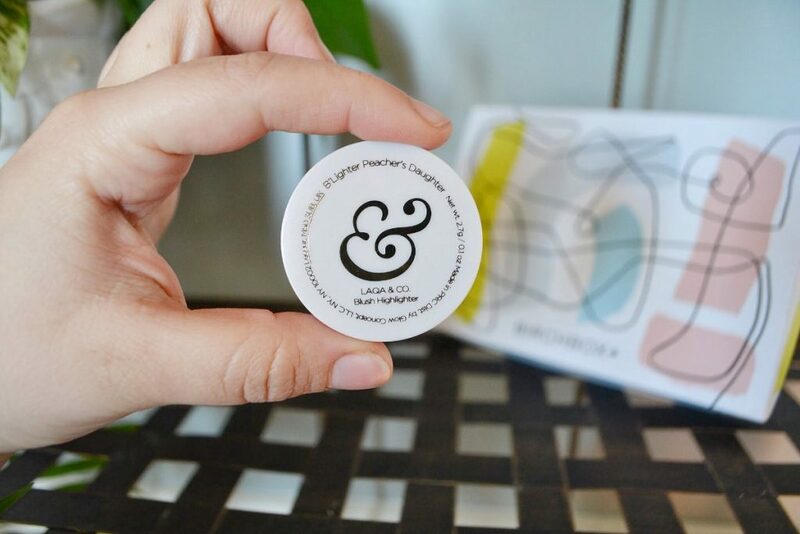 Let’s take a look at my January Birchbox! It arrived in a cute box with an abstract design on the front. I have never kept Birchbox packaging, but the cute designs make them exciting to open. This month had a great mix of products! I used to be subscribed to Birchbox a couple years ago and was frustrated at the imbalance of skincare to makeup products. January’s box was varied; I received a lip balm, dry shampoo, a highlighter, a moisturizer, and eyeshadow. 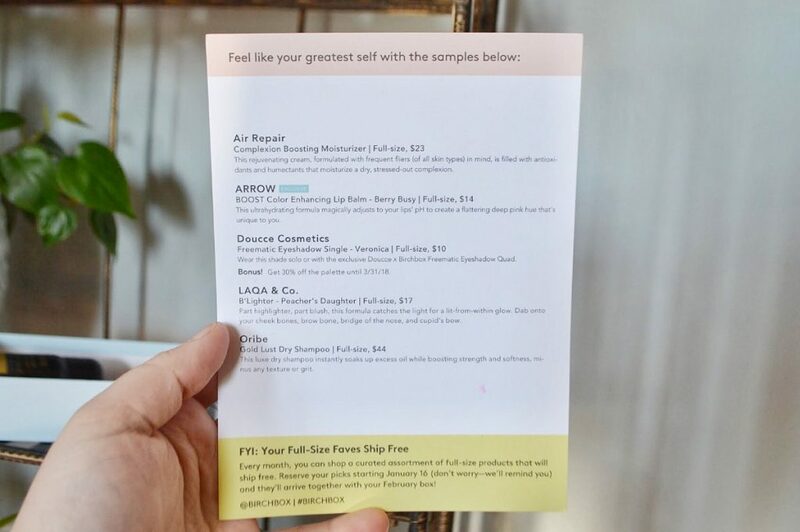 Birchbox also includes a card with information about each product. 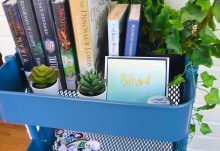 I really love it when subscription boxes include product information! 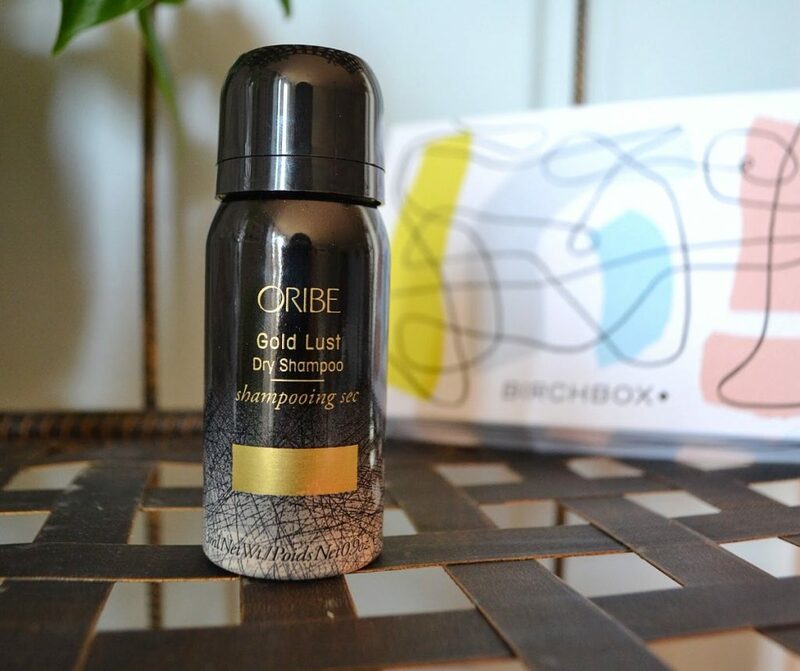 The first item I received was Oribe Gold Lust Dry Shampoo. This is a travel sized container, and is worth $15.23. This dry shampoo contains Oribe’s signature complex of watermelon, lychee, and Edelweiss flower extract. These ingredients help protect the hair’s natural keratin and prevent photoaging. It also contains celery extract – which prevents oil buildup on your scalp, and bamboo & rice silks – which leave your hair feeling silky and smooth. What I really love about this product is that it focuses on improving your hair long-term, rather than just temporarily masking greasiness. 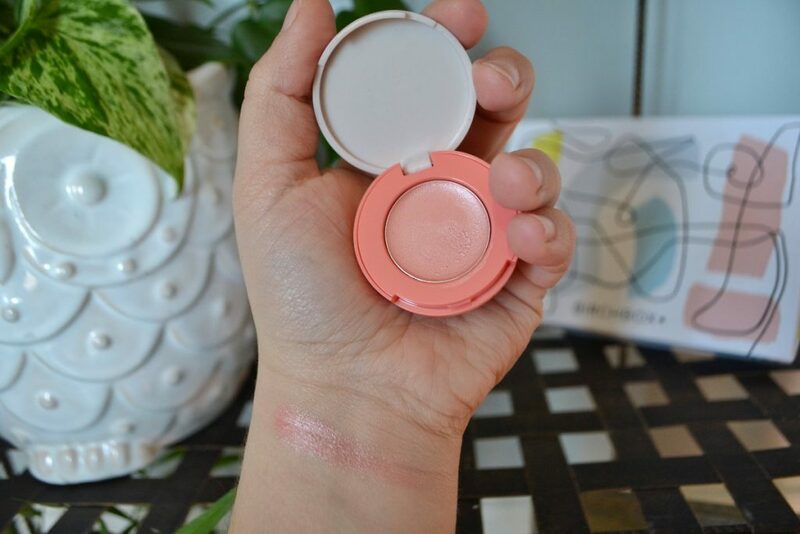 Next, I received a Blush Highlighter from Laqa & Co, in the shade “Peacher’s Daughter”. I love Laqa&Co, and I actually already own this product! This is a sample size that is worth approximately $10.67. The Blush Highlighter, or “B’Lighter” is a creamy balm that melds with your skin’s natural heat for a lit-from-within glow. 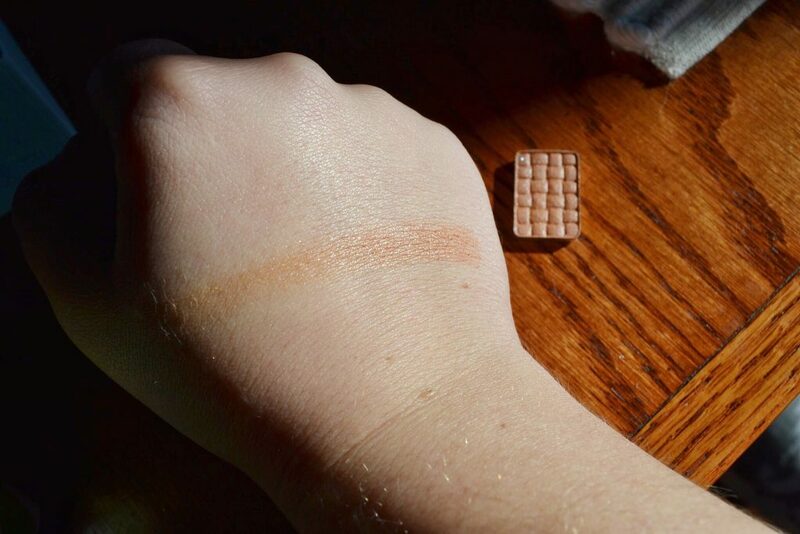 This makes for a gorgeous glossy peach highlight. I also received an Arrow Boost Color Enhancing Lip Balm. This is a full sized product, and is worth $14. 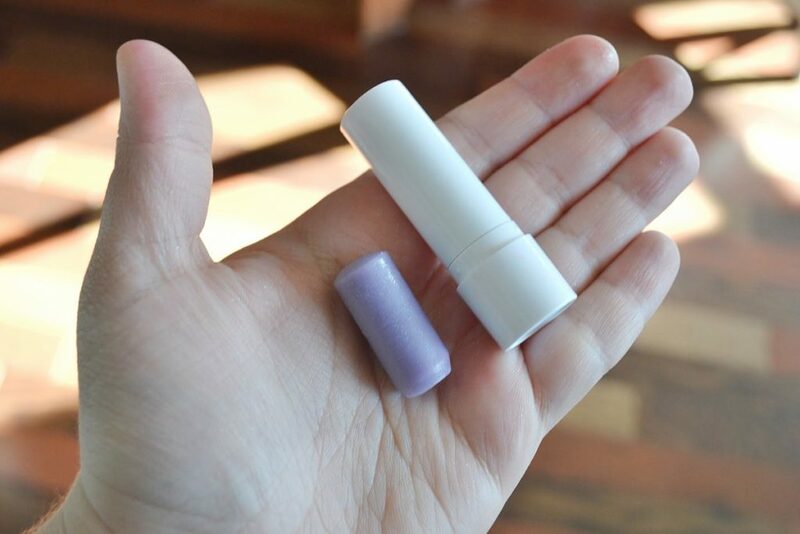 This lip balm goes on clear, and then adjusts to match your body’s unique PH. 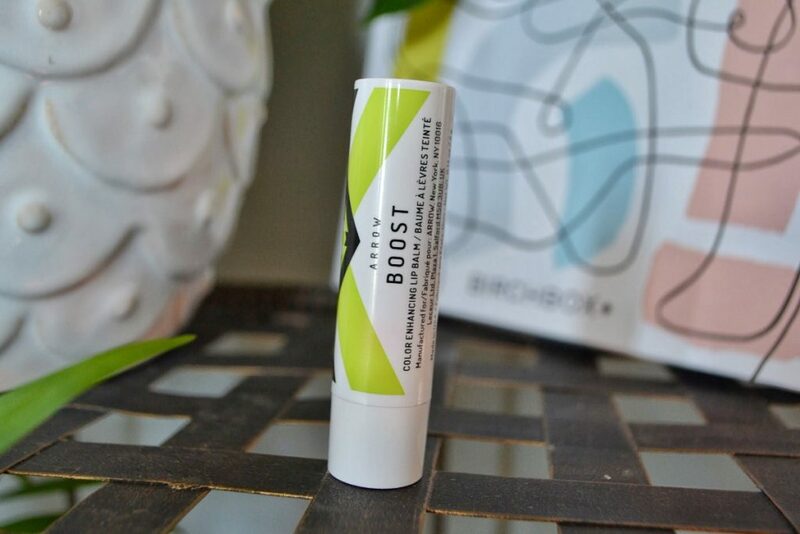 It is vegan, paraben free, and contains ingredients such as mango seed butter to hydrate your lips. Unfortunately, my lip balm arrived damaged. The stick was stuck up in the lid, and I had to pry it out. I was able to put it back in the tube, but it falls out easily. However, it is still usable. 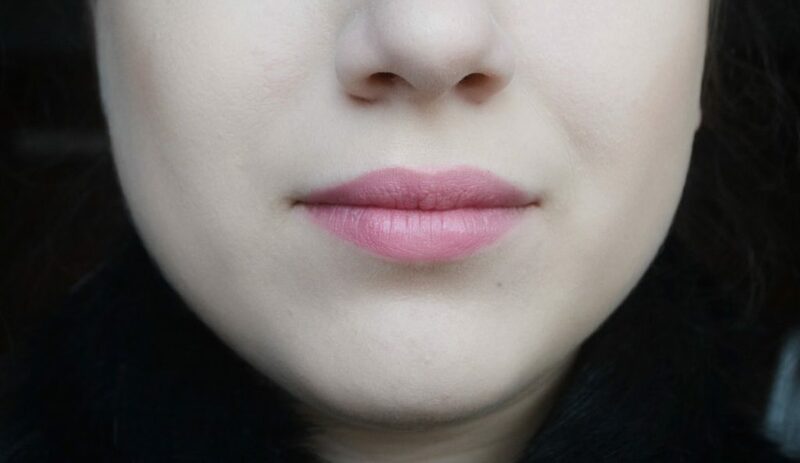 When I wear the color enhancing lip balm, it turns to a beautiful shade of carnation pink. 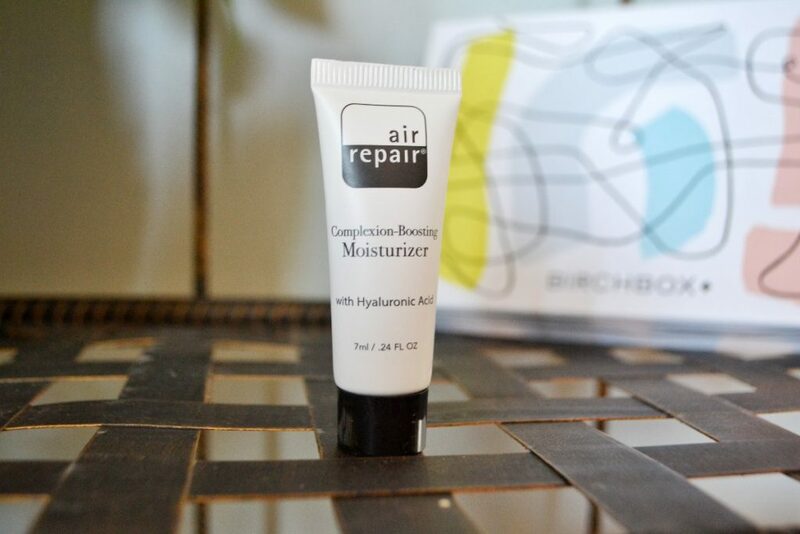 The next thing in my Birchbox is an AirRepair Complexion-Boosting Moisturizer. This is a sample size, which is worth $2.76. It contains cloudberry seed oil and green tea to protect your skin from free-radicals, and hyaluronic acid to lock in moisture. It also uses borage oil to repair stressed and inflamed skin! I have already used up the whole tube over the last few weeks. I have been using it every morning and night, and I have seen an improvement in areas of my face that are prone to redness. The final item I received was a Doucce Freematice Eyeshadow pan in the shade “Veronica”. This is full-sized, and is worth $10. 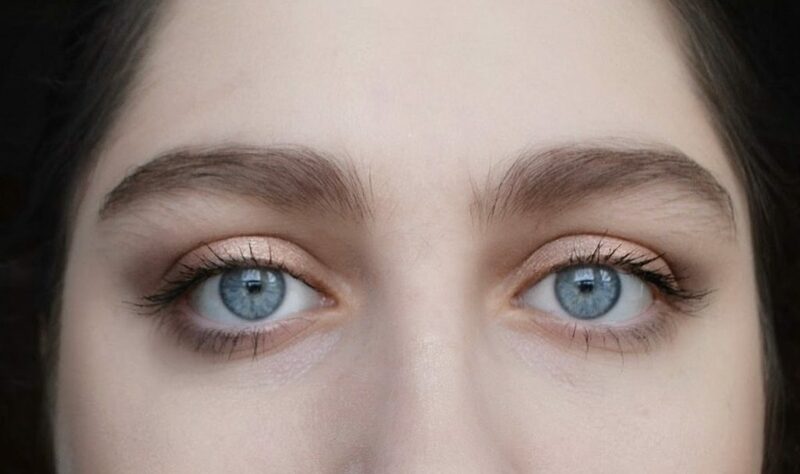 I have tried Doucce eyeshadows before, and I don’t like them. The shades I have tried are all chalky, and only have a few flecks of glitter mixed in. 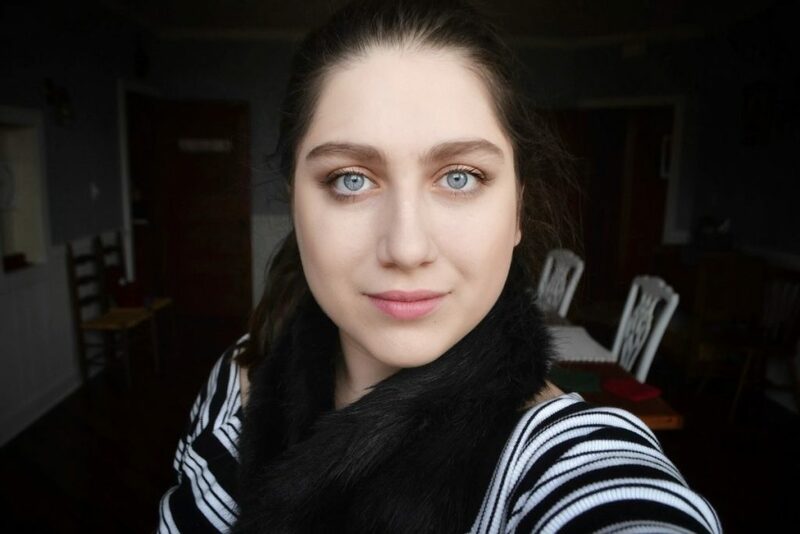 Here is a photo of my makeup of the day! I am wearing the Doucce Freematic Eyeshadow on my eyes, the Arrow Boost Color Enhancing Lip Balm on my lips, and the Laqa & Co Blush Highlighter on my cheekbones, nose bridge, and cupid’s bow. I loved everything in this month’s box, except for the Doucce Freematic Eyeliner. I am especially happy to have received another Laqa & Co B’Lighter, because it is such a great product. The overall value of my box was $52.66, and it only cost $10. Keep reading for my final verdict! This was a pretty good box! The box was worth much more than $10, and I liked most of the products. 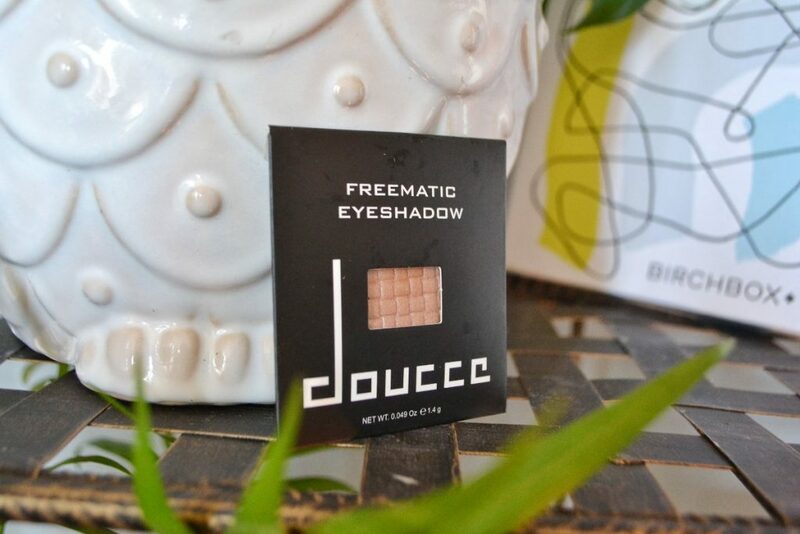 The Doucce Freematic Eyeshadow is a matter of preference; I saw many reviews from people who loved it. The only real issue with the box was that the lip balm arrived damaged.